Home » »Unlabelled » Disparaging & Racist vs. Political Correctness – You Choose. And the Washington Redskins thought the Battle on the Football Field was Tough! The National Football League team, the Washington Redskins lost a fight of Super Bowl proportions today before the U.S. Patent and Trademark Office. The team’s host of registered trademarks dating back to the 60’s were cancelled on the ground that they were disparaging on the date they were registered and as such, should never have been registered. The ruling does not prevent the team from using the trademarks but means the team loses the benefits of a registered trademark including the ability to sue for trademark infringement. Not surprisingly, the team’s lawyers have already indicated that the decision will be appealed. 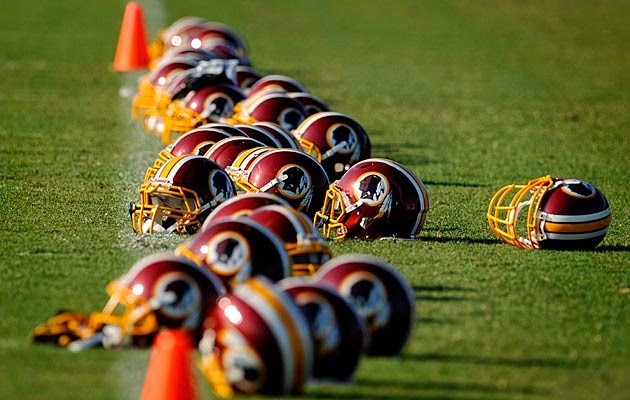 In Canada, the Washington Redskins trademark has been registered since 1980. Under the Canadian Trade-marks Act, a trademark which is “scandalous, obscene or immoral” at the date of registration may be held invalid. So the obvious question remains, would a disparaging trademark in the US be considered “scandalous, obscene or Immoral” in Canada? If challenged in Canada, would we be less, equally or more offended than our neighbours to the south? Unlike in the US, if a mark in Canada is held “scandalous, obscene or immoral” it cannot be used in the country. The Trade-marks Act specifically indicates that such offensive marks cannot be ‘adopted’ which would thus prevent their use. This raises an interesting question if the U.S. Patent and Trademark Office decision is overturned on appeal but the same fight is engaged in Canada with the Canadian court’s ruling against the team. Would the NFL not televise games or sell merchandise in Canada? Perhaps those opposed to the Washington Redskins should think about using Canada to advance their fight. In all, the appeal(s) in the US will likely dictate the fate of the Washington Redskin trademarks in Canada. However, there is a lesson in this not just for sports franchisees but for all trademark owners – choose your trademark’s carefully because your decisions might come back to haunt you years later.